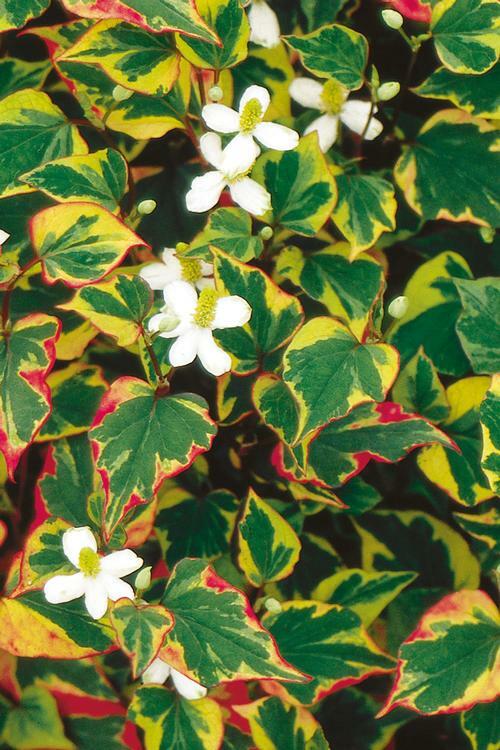 Highly variegated foliage painted with yellow, green, bronze, and red; white flowers, late to break dormancy. Very aggressive, fast spreading ground cover. Should only be planted where it can be easily congtained. Very versatile and adaptable to a wide range of conditions. Also good for water gardens.